Clever Canine is pleased to introduce our Stay & Play Boarding. ​Perfect for the Dog Parent that is looking for an alternative to leaving their dog in a traditional kennel while they are away. At night, your dog will be monitored by our trained & certified overnight staff. 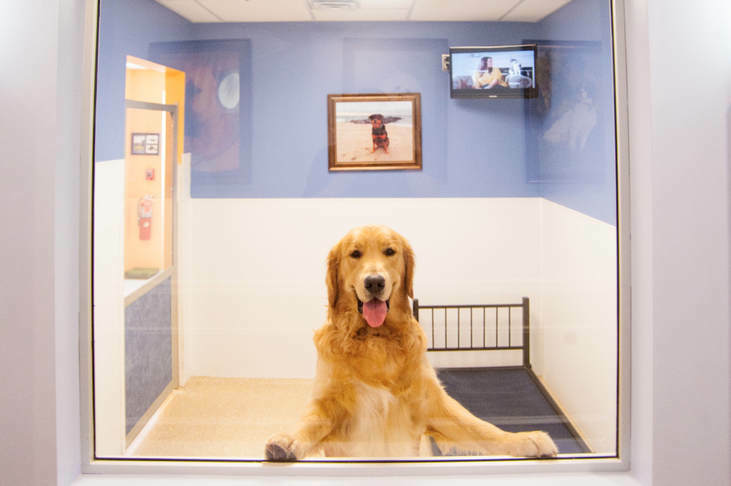 ​Most boarding facilities leave your dog alone overnight. Their staff go home by 10 pm and do not return until the next morning. Our staff monitors your dog overnight to ensure that he or she is safe, comfortable, and happy. 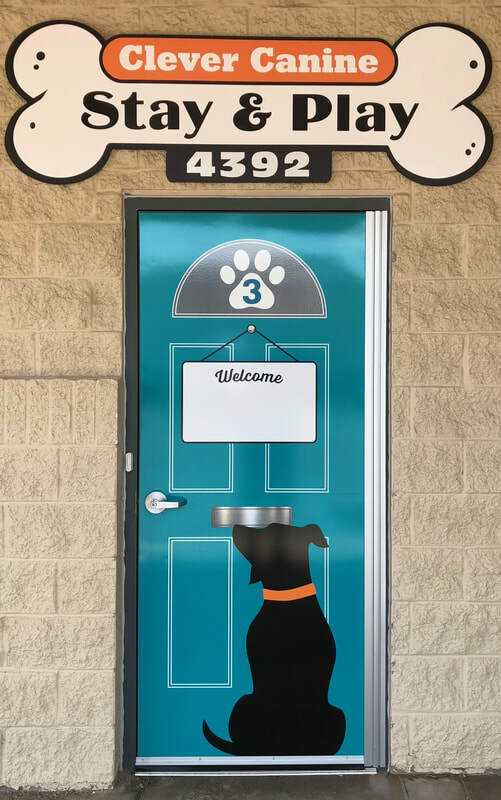 Stay & Play Boarding and Daycare provides a safe and fun environment for your dog to spend his hours playing with friends and burning energy instead of being cooped up inside or in a kennel all day and night. Your dog will spend his days playing with friends, climbing on, over, or through obstacles, and cuddling with our trained staff. There is little to stimulate their mind and body. There is little interaction with people. 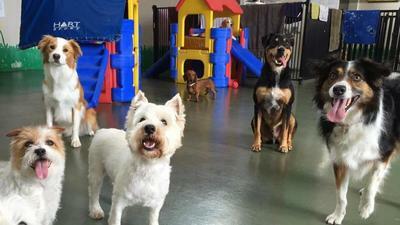 Facilities that do offer daycare or activities for your dog charge you extra. 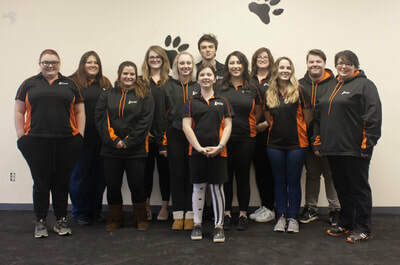 Stay and Play Doggy Daycare offers a unique combination of learning, playtime with other dogs, one on one time with our staff, and fun activities . Rather than being in a large group all day and left to play on their own, we structure their day with just the right amount of play, fun, learning, and rest. 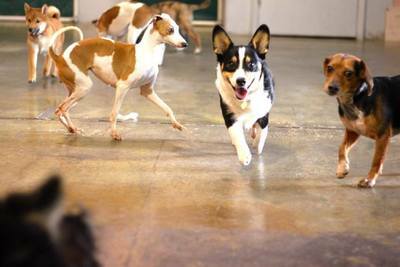 Dog Training and Canine Group Behavior is not an after thought with Stay and Play Doggy Daycare and Boarding. 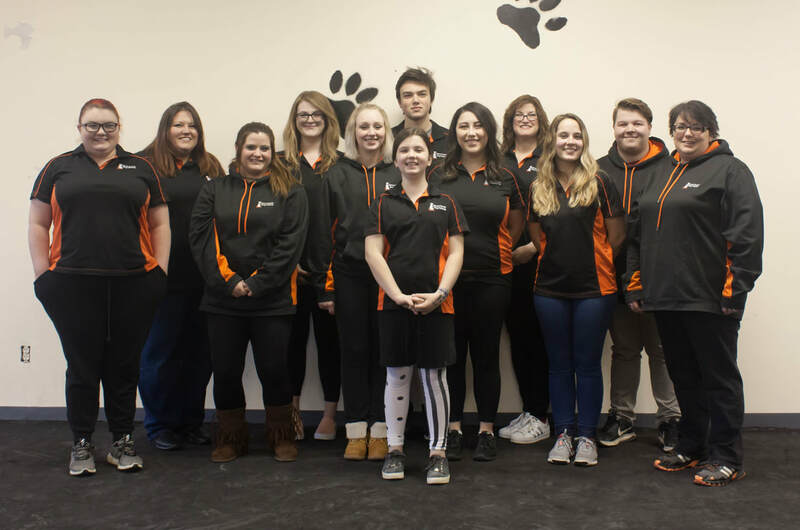 As a dog training organization, all of our staff is thoroughly trained on dog behavior. Our goal is to send your dog home happy, tired, and better behaved. We boarded our dog here and it was a wonderful experience! 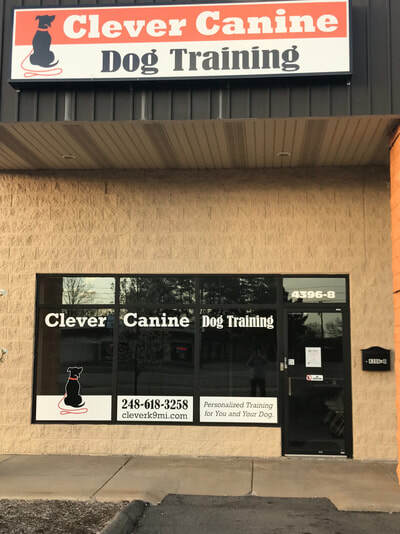 The girls at Clever Canine Stay & Play Daycare and Boarding were so helpful and answered all my questions when dropping my boy off for daycare for the first time. They told me he was nervous at first and they took the time to slowly introduce him to the dogs. I love that! I have already told friends about how wonderful of an experience it has been! 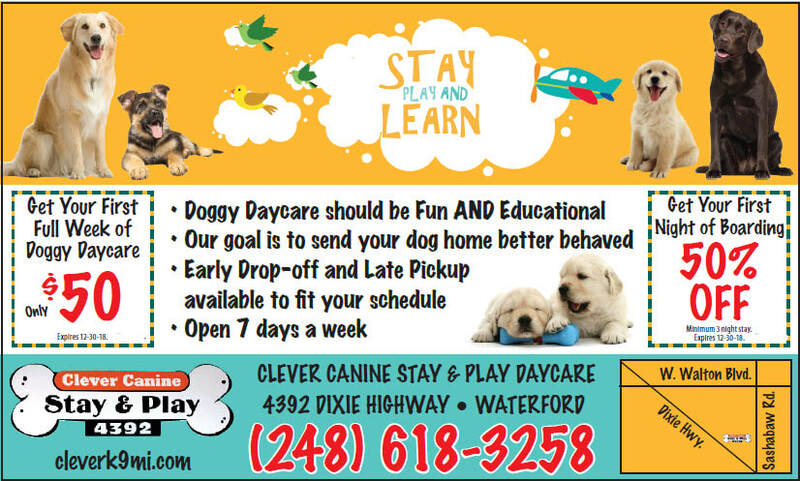 The Team at Clever Canine Stay & Play Daycare and Boarding is awesome! They have been so helpful working with our German Sheperd Shakka!! She loves going there for doggie daycare & they really do treat her like she is part of their family! We are so very grateful for everything they do & would highly recommend their services!! We were in search of a local training facility that would be able to help us with our very smart and very easily distracted pup, Jack. After our initial research into Clever Canine we went in for a free evaluation and decided to try the accelerated obedience program they offer. In addition, we signed up for 5 days of the "Stay and Play" doggie day care. In his first 3 weeks of training, he's a new pup. He's always been good with his commands but he's gotten much better with distractions and he's learned quite a few new ones as well. And we're almost at what I thought would be an impossible break-through...loose leash walking! Every day after daycare he came home DOG tired but was noticeably better with his commands. He gets SO excited to go in the morning and on days he stays home, he whines in the hallway because he wants to go see all his human and fur friends. 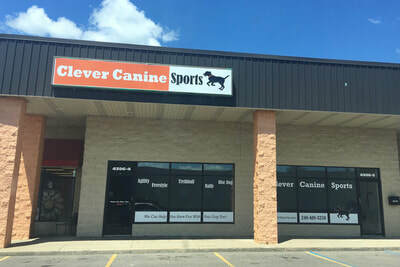 It's very evident that the staff at Clever Canine shows him love, attention, and reinforces positive behaviors we want at home. This dog dad is insanely thankful for Clever Canine and their amazing staff. Vegas loves his friends at Clever Canine Stay & Play Daycare and Boarding! After visiting several other places we chose Clever Canine. We love it there! The staff is friendly and the pups are great! !